The Heroes of the Storm panel at PAX East had a lot to unpack, beginning with the announcement of Deckard Cain’s arrival in the Nexus. But beyond that, the developers were there to talk about lore — Nexus lore. You wouldn’t really think of Heroes of the Storm as having a cohesive story, but Blizzard would like to change that. Obviously, bits and pieces of lore already exist through skin descriptions and trailers. But the Nexus is a jumble of heroes from all of Blizzard’s various games. Where’s the unifying factor? Isn’t it just a playground? The answer might surprise you. The Nexus is absolutely a real place that exists. It’s connected to other realms, and exists at the center of a cosmic storm. It can rip worlds and universes in and out of existence, and it can also pull worlds into stability. Some of the central realms in the Nexus are examples of these points of stability. Each of the Nexus-created realms has its own story to tell. Places like Cursed Hollow, Haunted Mines, Dragonshire — all places that don’t really exist in Blizzard’s existing titles, those are Nexus-generated. These Nexus-generated realms each have a leader — a realm lord. We’re already familiar with these leaders, we hear them throughout the maps. The Raven Lord, for example, is the realm lord for the Raven Court. Realms themselves contain power, and that power is achieved and contained through conquest. Each realm lord has a powerful stone called a “singularity,” which is what grants them their almost demigod-like status. Heroes — the characters we play — are essentially wildcards in this narrative. They’re agents of change that can either ally with certain interests, or defend other interests altogether. This is all well and good, but wouldn’t it be easier to keep track of all of this through say…an actual storyline? It absolutely would, which is why we’re getting a narrative tale — all year long. 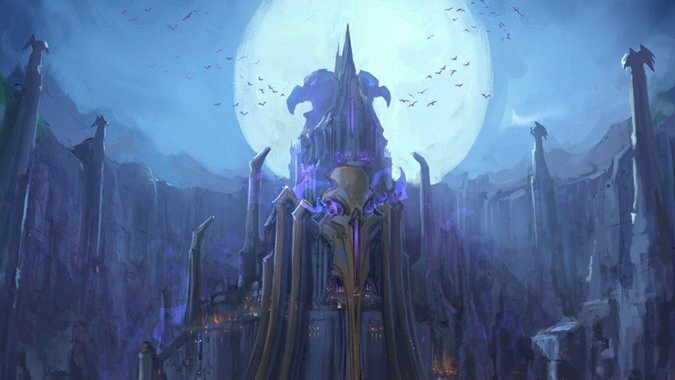 Blizzard is diving right into the story of the Nexus with a brand-new Heroes of the Storm comic. The comic Rise of the Raven Lord, written by Valerie Watrous, will be available sometime this month. One of Blizzard’s goals with Heroes of the Storm this year is digging deeper into the narrative side of the game. Starting in April, the story will progress over the course of the year. The story begins in Raven Court with the Raven Tower, the home of the Raven Lord. The majority of the narrative content will exist outside the game, but you’ll still see bits and pieces of lore in skin packs and the like. As a fan of storytelling and lore in general, I can’t wait to see what the Heroes team puts together. The idea behind Heroes — the concept of the Nexus — has always been pretty fascinating. Actually having stories that fit within that narrative and sculpt out the setting is going to be awesome. 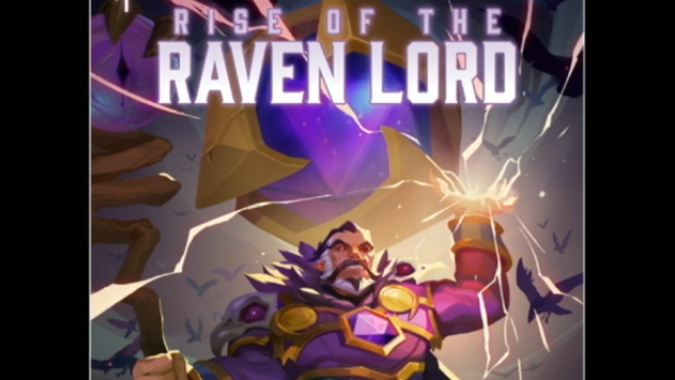 Keep your eyes peeled — while there wasn’t an official release date given for Rise of the Raven Lord, we’ll be seeing it sometime later this month.